Serranos are thick-fleshed peppers with a savory, hot flavor. 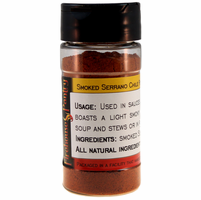 Used primarily in sauces, the authentic chile flavor boasts a light smokiness. 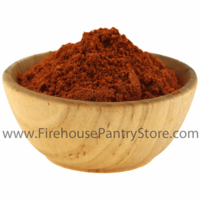 Use in salsa, chili, soup and stew or in rubs for meats and fish. Ingredients: smoked serrano peppers. Packaged in a facility that also packages wheat, milk, soy, egg, peanuts, and tree nuts.